For the past year, the Museum of Science has been busy renovating the Hayden Planetarium. This Sunday, the Planetarium will reopen it doors and unveil to the public the most technologically advanced digital theater in New England. The yearlong $9 million renovation was funded through private donations and the Charles Hayden Foundation. 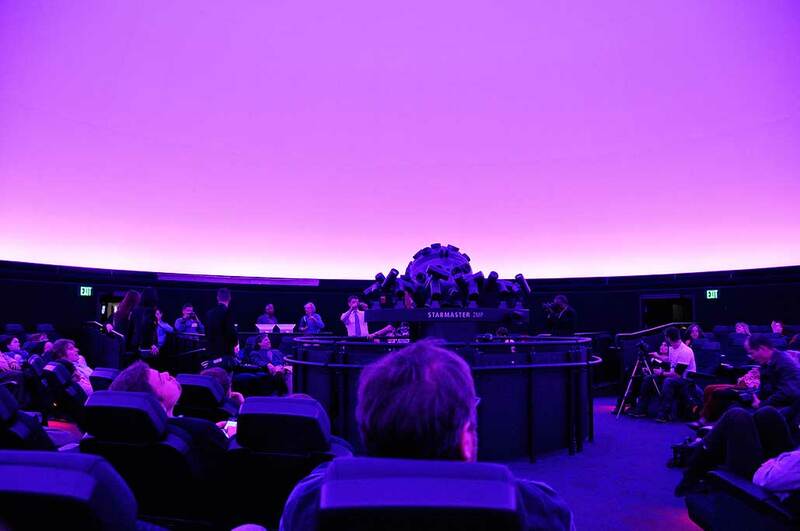 The RainyDayMagazine crew was on hand for the preview of both the new theater and a new original astronomy show, Undiscovered Worlds: The Search Beyond Our Sun, last night. In the center of the newly renovated dome-shaped, 209 seat, theater is the state-of-the-art Zeiss StarMaster projector. Supporting the Zeiss StarMaster are immersive full-dome video projectors and an upgraded audio system. The video projectors are the Sony SXRD 4K Digital units. They have a resolution that is 4x higher than the HDTV screen in most homes. Besides flying viewers around the universe, the ultra-HD projection and animation system can be used to explore topics such as climate change, protein and DNA structures, and other earthly scientific topics. Of course, the hardware is only as good as its software and content. The Zeiss StarMaster is controlled by the new DigitalSky2 software which enables scientifically accurate data from satellites and observatories to be displayed. It can also simulate points-of-view from space not possible with the older equipment. 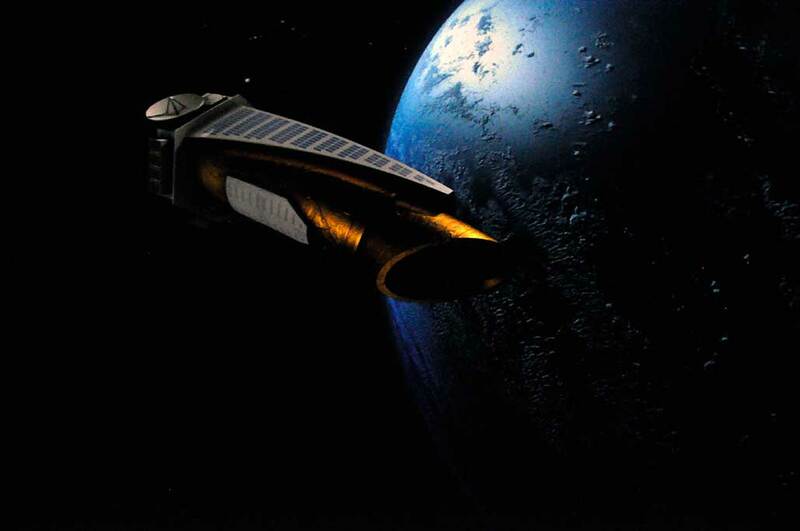 To show off the new advanced digital theater, MOS has created an original 30-minute program called Undiscovered Worlds: The Search Beyond Our Sun. Using the latest scientific data, the show takes the viewer in a journey from Earth to hunt for planets outside of our solar system. Along the way, the audience learns about the methods (star wobble, transit light curve) used for exoplanet discovery. Both were used in finding exoplanet HD 209458b. Viewers were also transported to Gliese 581, a four-planet system 20 light-years away, to see a planet discovered by the Kepler telescope in 2010 which may be one of the first potentially habitable exoplanets. 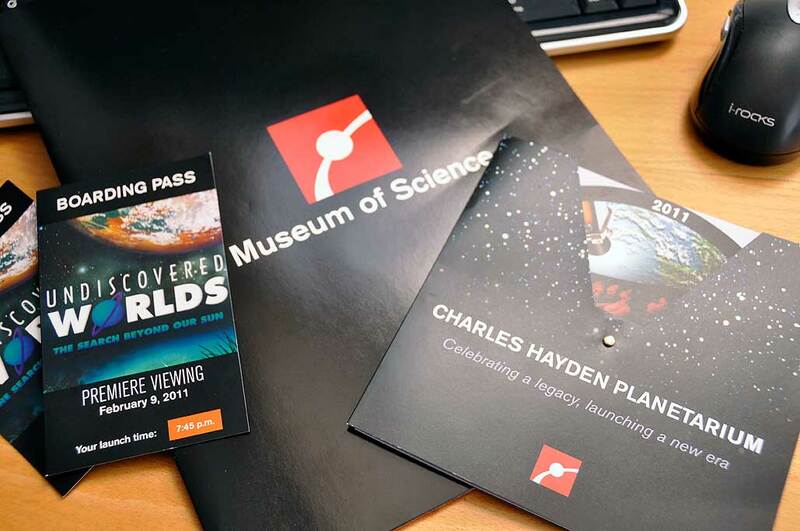 The public opening of the transformed Charles Hayden Planetarium is this Sunday, Feb 13. Tickets are $10 for adults; $8 for childern. Go here for the show schedule. There is parking at the lot next to the Museum, but be aware that there is bridge work directly in front of the entrance. If you can, public transportation is the best bet for the least amount of hassle. Regardless of how you get there…GO. You will have an amazing time.